The probability of this bill going anywhere is nearly zero. The NEA and others who feed at the federal trough won’t allow it. All Democrats get money from the NEA, as do many Republicans. Beyond the funding, there’s also the undying belief that government-sponsored and -controlled education is necessary to the survival of the republic. My view is the opposite: government-sponsored and -controlled education is the reason we are in such a mess educationally. 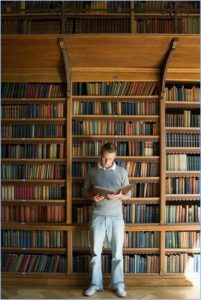 One size does not fit all, and the federal government’s bureaucracy has no idea how to carry out real education, especially since it removes the Christian element. Here’s the truth historically and constitutionally: there is no authority in the federal Constitution for the government at that level to be involved in education at all. The Department of Education is foundationally unconstitutional and should be scrapped. But who pays attention to the Constitution anymore? My view is that states, which have given themselves authority to delve into education, also make a mess of it, primarily because it’s not a proper function of government. No level of government should be telling citizens what education is and how it should be carried out. Education is a function of the family, and parents should have complete liberty to decide how and where their children will be educated. Pipe dream? Probably. But that doesn’t change the Scriptural mandate that puts parents in charge of their children. 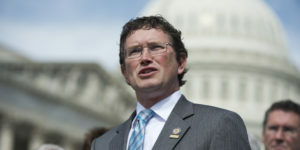 Neither does it negate the efforts of legislators like Rep. Massie to draw our attention to the basics and try to move the needle away from government oversight. This latest effort to disengage government from education will fail. Yet it is worth making the attempt. Every time we do, we inform and educate the public about the proper role of government and the significance of parental choice. Betsy DeVos is the new secretary of education. I’m sure she would rejoice if she were the last one because she grasps the importance of educational choice. It will be interesting to see if she can make any headway at all in breaking the stranglehold that the NEA has on education.